OOoh that does sound really good! I couldn't get into her first series but this one I definitely might try!! Whoa! This sounds super creepy. I have liked Plum's novels in the past, so I will definitely be adding this one to my TBR list. Great pick, Christy! I've been waiting for another book by Amy Plum, so excited! Here's my WoW pick: http://bookandlatte.com/2016/11/wow-pick-160.html. I saw the cover reveal of this book recently! It's been so long since I read a Plum book. I liked her Revenant series, but not so much her duology that followed. I hope you enjoy this book when you get a chance to read it! Yes, so excited for a new Amy Plum book! 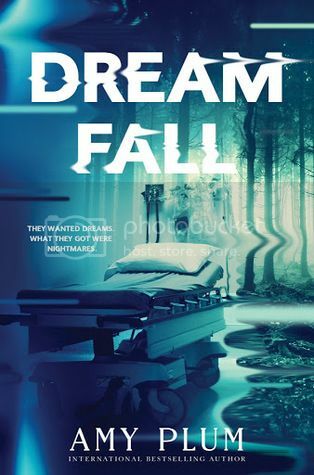 This sounds amazing, I love dream stories. Reminds me of the movie Flatliners (ooh, that's an oldie...think I just aged myself lol). Great pick!